Greenville (SC) Technical College (GTC) and KUKA USA have formed a unique partnership that will allow KUKA to train employees of its global customers at GTC’s Center for Manufacturing Innovation (CMI) and give GTC students access to the same resources. KUKA is a global automation corporation with sales of around 3.5 billion euro and around 14,200 employees. 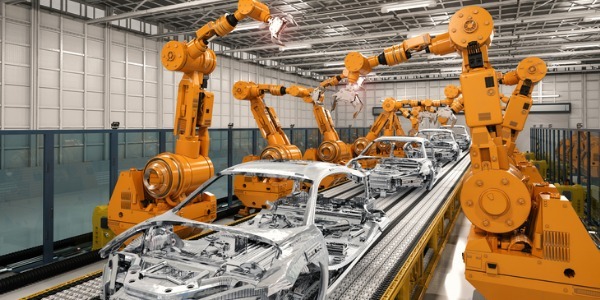 As leading global supplier of intelligent automation solutions, KUKA offers its customers in the automotive, electronics, consumer goods, metalworking, logistics/e-commerce, healthcare and service robotics industries everything they need from a single source: from components and cells to fully automated systems. Four large robot cells have been installed at CMI, and a dedicated KUKA trainer began offering classes in early September. This equipment adds to CMI’s diverse set of manufacturing technologies including 5-axis machining centers, fully automated manufacturing assembly systems, and additive manufacturing technology. Thousands of KUKA robots have been installed in the region supporting advanced manufacturers. To learn more about GTC, KUKA, and their partnership to improve training resources in the southeast, visit gvltec.edu.